#SELFIE Is a Viral Marketing Success — But Have Netizens Been Duped? The track that seems to both celebrate and mock the #selfie has amassed more than 30 million views on YouTube and is No. 1 on the Billboard dance charts. Few things have more viral potential than art imitating social media. Case in point: the Chainsmokers earworm #SELFIE. The single, a dance track that seems to both celebrate and mock the selfie, has amassed more than 30 million views on YouTube and is No. 1 on the Billboard dance charts. According to Emily Yahr, a reporter for The Washington Post, the track by The Chainsmokers is just an “exercise in forced viral media.” Yahr points to the “Harlem Shake,” which she says only went viral because Maker Studio is good at what it does and made it go viral. 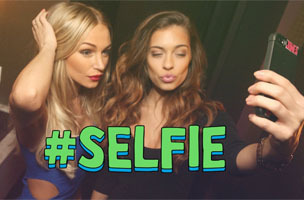 Well, looks like the creators of “#Selfie” chose a similar path, and in turn, you can feel the unappealing desperation to go viral. The popularity of the song (a pulsing dance beat that plays over a vocal by a woman at a nightclub whose catch phrase is “But first, let me take a selfie”) is due in large part to social media company theAudience. Founded by Ari Emanuel and Sean Parker, the firm sent the song to well-known EDM producer Steve Aoki and also “used its network of cool-kid influencers — namely celebrities and social media mavens with large followings — to get the word out,” according to Billboard. As a result, the video started making the rounds — because a company came up with a strategy to make sure that it did. But is it really news that brands are trying to exploit the Internet to drive a viral success? Lady Gaga’s marketing genius has often been attributed to her team’s social media savvy. It’s pretty easy to figure out that the success of #SELFIE is really a marketing success, but does that make it any less legitimate? The real genius behind this particular viral success is in its ability to tow the line between celebrating and mocking the vapidity of the selfie sensation. Is it completely self-aware or completely unaware of its own shallow nature? Does it really matter? The song has clearly struck a nerve with fans. Besides, who wouldn’t love the Valley Girl reminiscent song with an infectious beat and a catchphrase engineered for Internet success? The fact that it’s gone viral is just a testament to how much the Internet loves to hate all things meta.